Editor's note: This post originally appeared on the HubSpot Marketing Blog. The subject has a been a recurring topic of conversation recently so we are republishing it here. However, for an increasing number of organizations the answer is not clear. I have to admit that I often times worry about the future of inbound marketing concerned that it may fall victim to the same trap CRM systems found themselves in a decade ago. A recent research brief from SiriusDecisions highlights this issue that I find myself worrying about so often. As the brief, Calculating the Return on Marketing Automation, explains, “Demonstrating return on a marketing automation investment means more than showing an increasing in campaigns and leads.” Far too often, an investment in marketing automation only leads to a short-term increase in activity, with little to no measurable revenue results to point to. 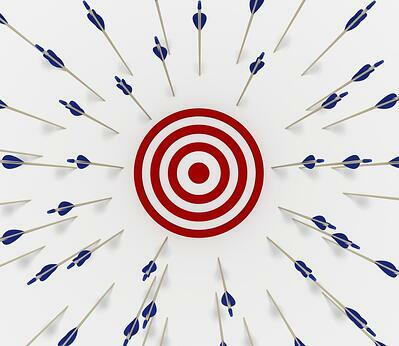 …and three reasons that an inbound marketing effort will fail. This is where most organizations find themselves before they initiate an inbound strategy. The common mistake here is that far too many companies implement an inbound marketing approach as a quick-fix, and experience no growth as a result (just like the way that sales organizations handled CRM). This is the next step in the evolution. The business makes an investment into marketing automation. They start emailing, nurturing and creating offers. Out of the gate they see marked improvement, so they increase the velocity further – thinking that more must be better. The problem is they have no clarity of their specific, desired results (they just want more revenue), they haven’t defined their buyer personas, and their message is confusing. This results in churning their list, rather than growing it, and heightened commoditization. 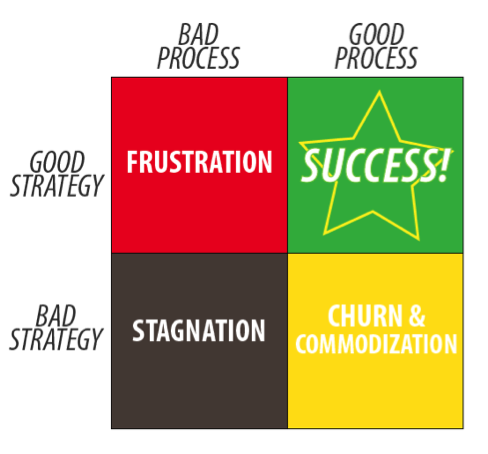 Businesses that stay on this path find themselves in a weaker position than when they started. While this is a frustrating place to be, it is the ideal place to implement an inbound marketing effort. Companies that find themselves here have taken the time to get clarity on who they serve, what they care about, and have carved out a successful niche. The frustration at this point is the inability to scale their growth. The underlying cause of this frustration is that prospects and customers have transformed the way they make decisions, and selling processes are not aligned to fit this transformation. Today, you must orient your process to allow you to win in the Zero Moment of Truth (ZMOT). While there are hundreds to thousands of tasks that comprise an inbound marketing effort; the key to success is actually quite simple (not easy). You must match a good strategy with a good process. It’s not enough to say we want to increase sales by 25%, nor is it adequate to say we want to double awareness in the market. You must be clear and specific about the results you are seeking. We recommend that you define 3 – 5 target results from your inbound initiative. Set your objectives along the lines of the process that I’ll outline in the next section. The proliferation of content marketing has created a tremendous amount of noise (some may call it crap), and the key to breaking through the noise is to be laser focused upon whom you want to influence. Inevitably, when someone tells me that they’ve tried using content like blogs, videos, white papers, etc., but haven’t seen any results, the underlying cause is a lack of clarity about who the content is designed for, and what it is that these personas want (and care) to see. A powerful message isn’t about you, or your products, services or solutions. A powerful message challenges your customers’ thinking, educates and provides a leadership path to results. Recently, I’ve found myself answering the question, “What do you do?” by replying, “I’m in the plumbing business.” I started off sharing that answer as a bit of a joke, but I quickly realized that I actually like the answer. Everybody’s attracted to the fixtures, but the reality is that the key to results is always found in the plumbing. If your sales and marketing process isn’t producing the results you desire, an ineffective process most likely causes the problem. I often explain points I’m trying to make by illustrating the parallels between sales and marketing and baseball. Chief among the parallel is the importance of trusting the process, rather than over-focusing on the outcome. When you’re hitting in baseball, the goal should always be to have a good at-bat, not to get a hit. When you focus on getting a hit, you start cheating and you shortcut the process. While this can lead to a short-term result, over the course of a season, it actually ends up leading to lower performance. The same is true in sales. Customers go through a predictable process when making decisions. Sure, they do all kinds of crazy, unpredictable things within that process, but the process itself is actually quite predictable. The major problem sellers have is that they regularly try to shortcut the process. 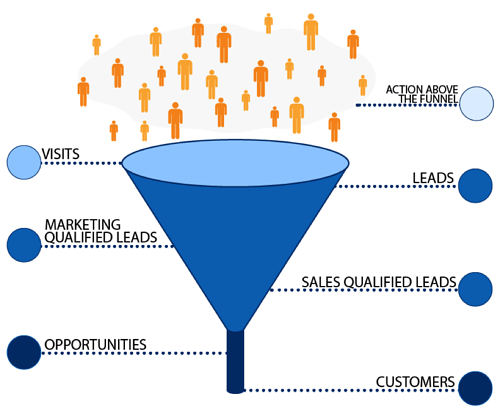 An effective inbound marketing process embraces the complete marketing funnel -- from above the funnel tactics used to drive awareness and traffic, to top-of-funnel activities meant to drive engagement to the middle-of-funnel nurturing approaches that create defined opportunities. 71-89% of the traffic visiting your website isn’t looking to buy anything, rather they’re searching for an answer to a question or problem. 11-29% of your traffic are evaluating buying criteria (and aren’t ready to buy yet). 0 – 18% are evaluating vendors and are ready to buy. Only 25% of the leads you generate are ready to buy in the next 12 – 24 months; the other 75% need nurturing. The motivations to flatten the funnel are most often caused by the need or desire to make sales as quickly as possible. The problem is that a flat funnel is neither predictable, sustainable, nor scalable. Growing in such a manner increases sales costs and complexity. While this approach could have worked marginally in the past, in a ZMOT world where the buyer is deciding what they want to do before your sales team has a chance to influence them, it simply doesn’t work anymore. So, does inbound marketing work? Unequivocally, it works for those organizations that make the commitment to match strategy and process.